A TRIO of Nissan dealer employees ended 2018 on a high with the announcement that they were each named a ‘‘Nissan Ambassador Of The Month’ for December. 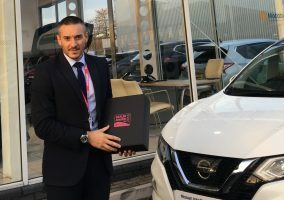 The monthly award, which is open to all staff in the Nissan retail network, recognises an individual’s outstanding commitment to customers and colleagues. 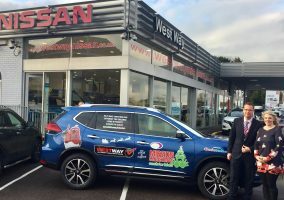 Once again the standard of nominations was incredibly high, but Sales and Aftersales Directors at Nissan Motor GB gave the coveted awards to Dan Cook of F J Chalke Wincanton, Jonny Dove of West Way Rochdale and Tony Valentine of Glyn Hopkin Romford. The three winners enjoy 350 N-GAGE points each and the knowledge that they are the best of the best in the Nissan dealer network. The Nissan Ambassador Of The Month awards will continue throughout 2019 and senior staff are invited to nominate exemplary team members over the coming months. The initiative is seeing more and more people achieve the recognition they deserve, and toenter the January awards, nominate through N-GAGE by 7th February.